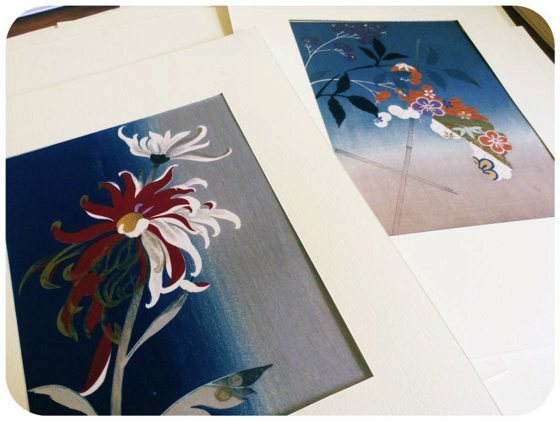 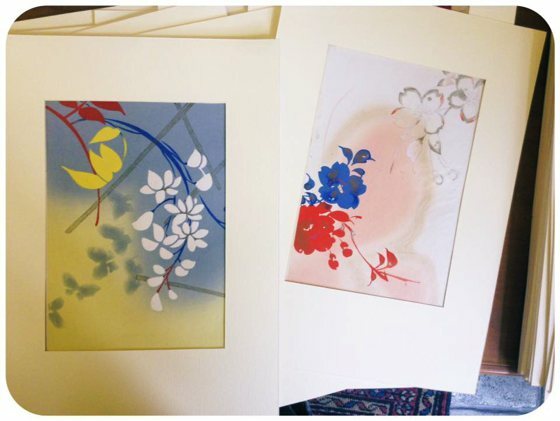 If you are in Turin for this month you can’t miss the wonderful exhibition “NISHIKI-E, Broccati e Stampe” at the Gallery Ai Tre Torchi, a few steps from the Mole Antonelliana. 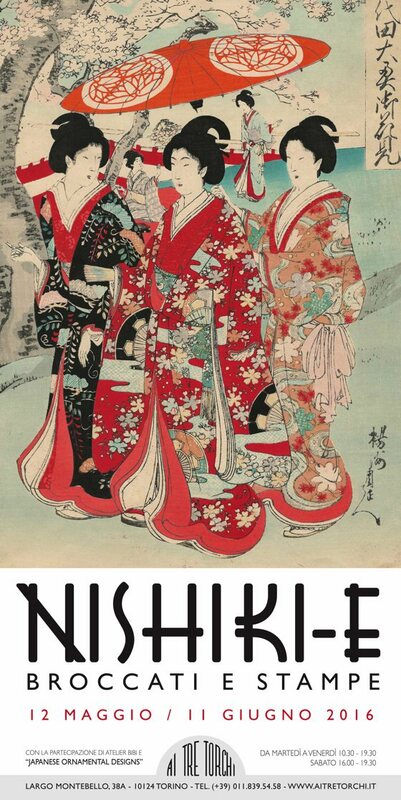 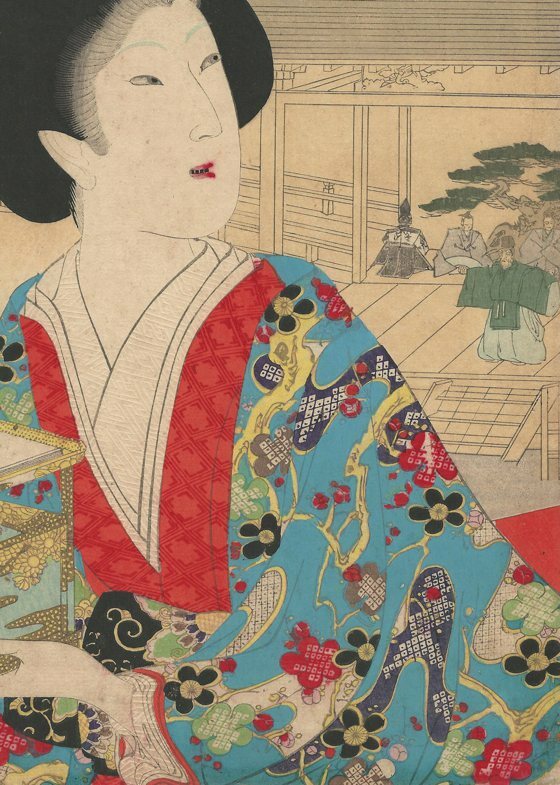 "錦 絵, brocade picture" is an exhibition dedicated to the ladies of the court to the Palace Chiyoda and their magnificent clothes. 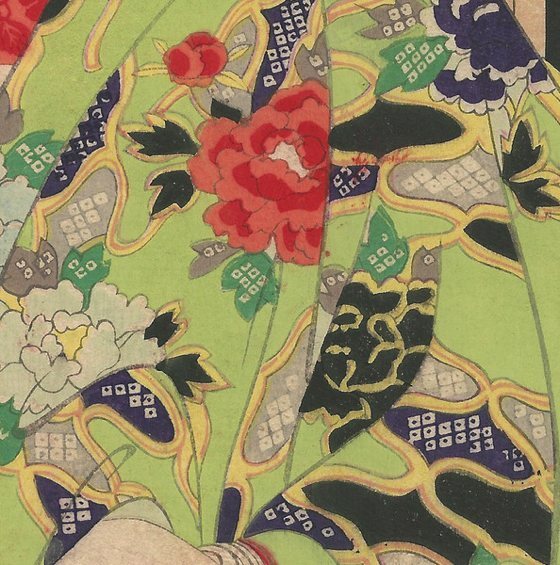 So you can admire the myriad of color combinations, patterns and graphic motives on which the author Chikanobu (Japan, 1838-1912) aimed to make unique the woodcuts of 13 triptychs. 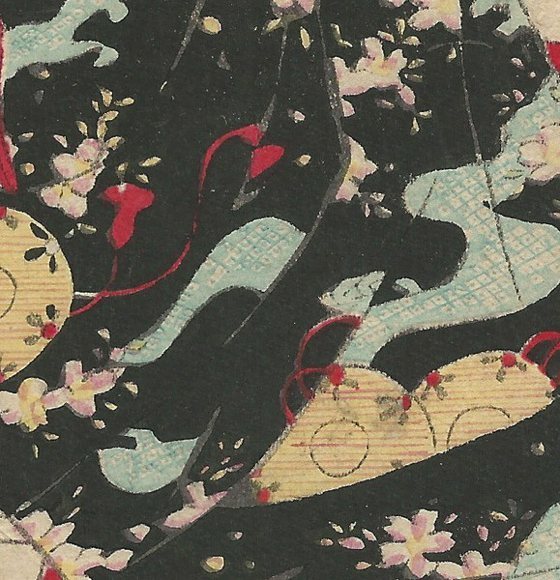 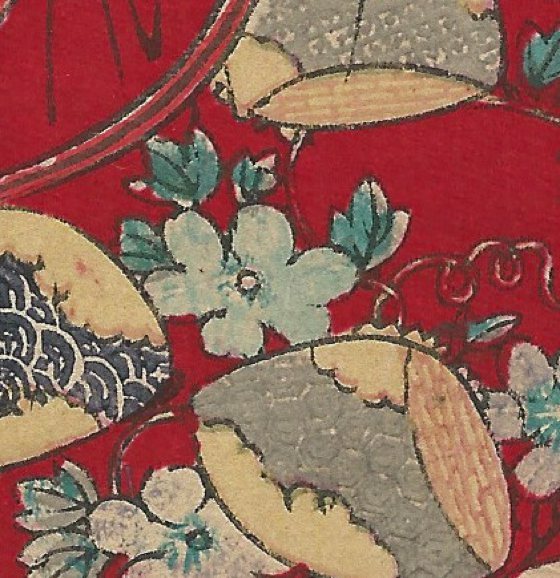 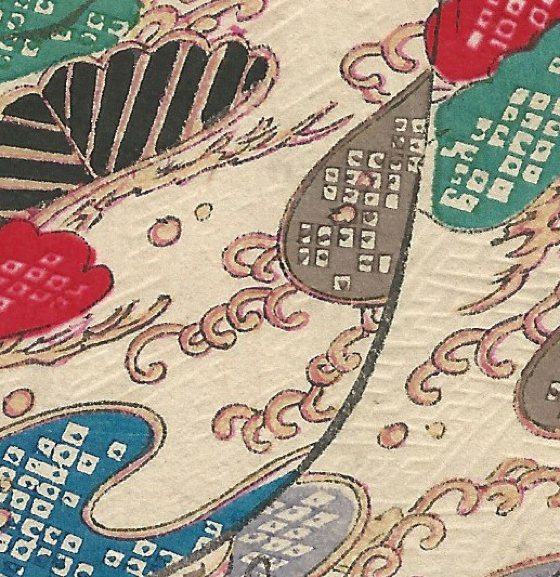 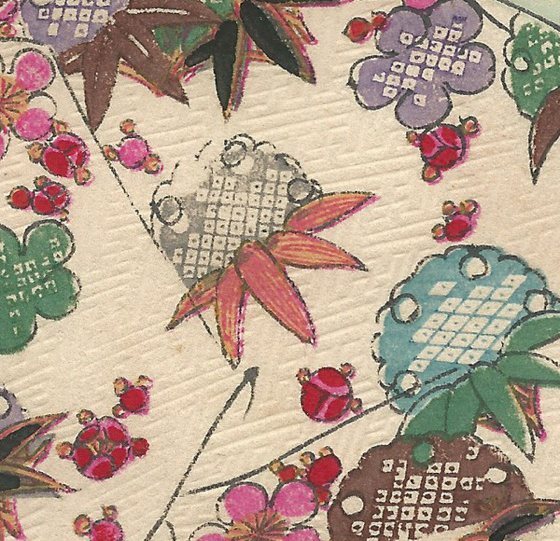 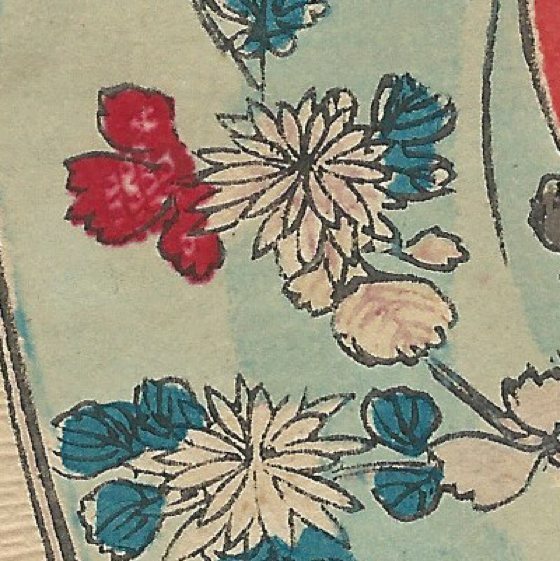 The exhibition also features more than 60 woodcuts for kimono designs. 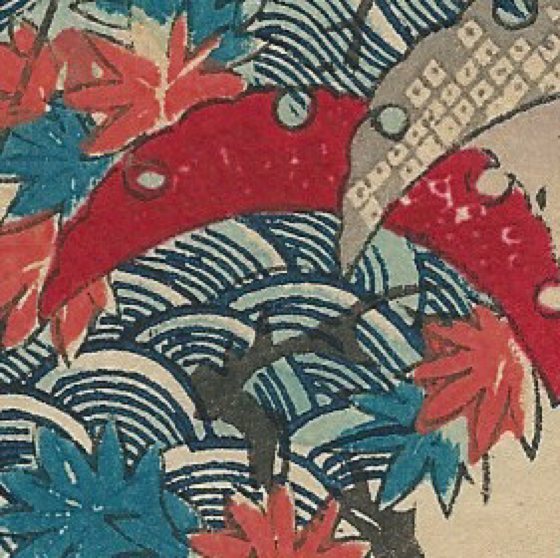 The opening is today, Thursday, May 12, 2016, starting at 18. 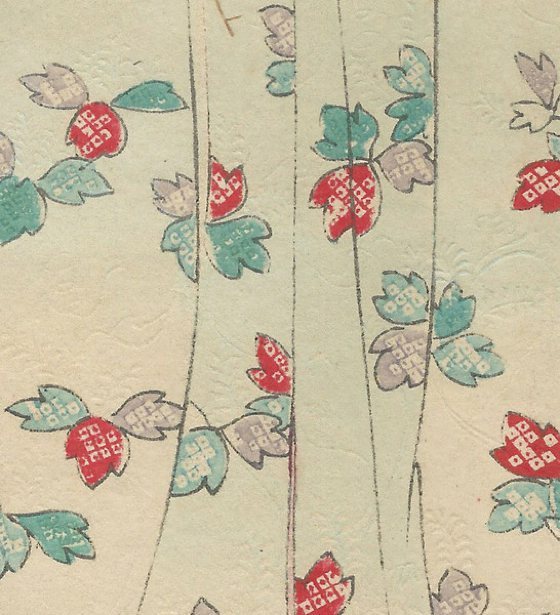 The exhibition will remain open until the day June 11, 2016. 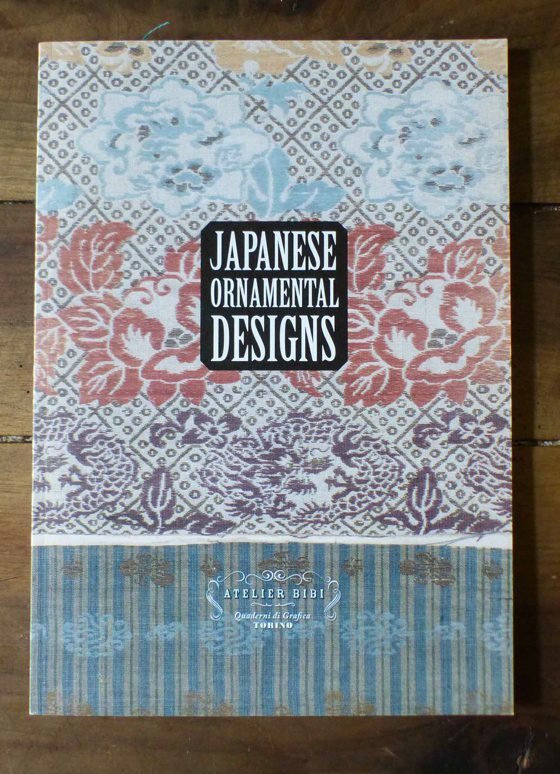 During the inauguration it will be presented the book "Japanese Ornamental Designs" by Atelier BiBi. 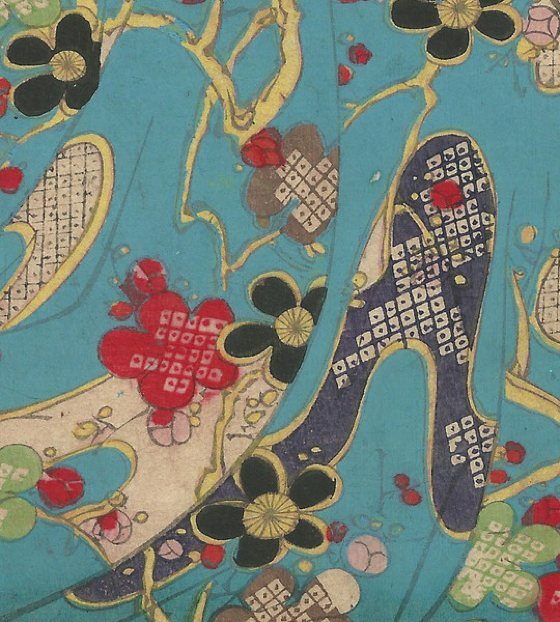 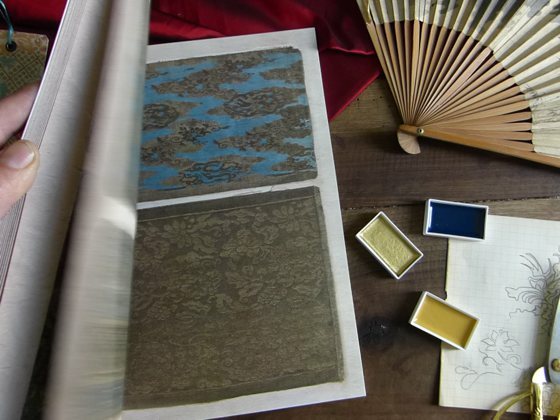 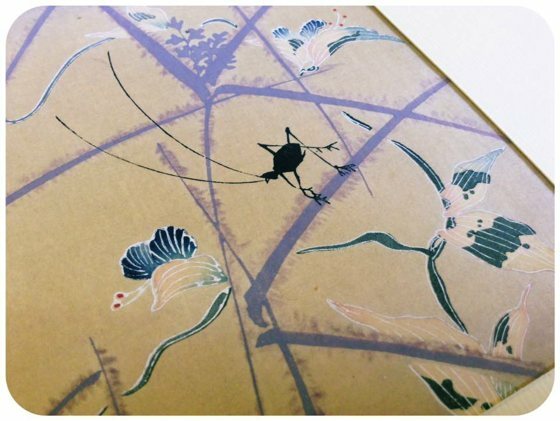 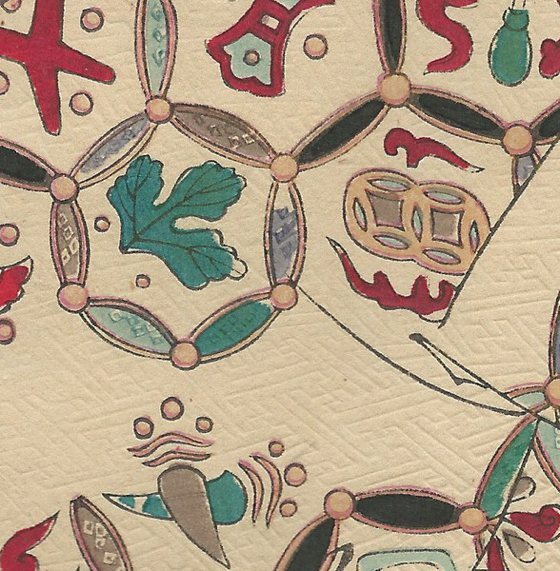 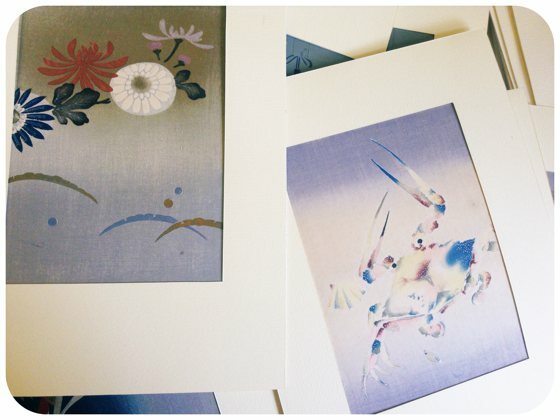 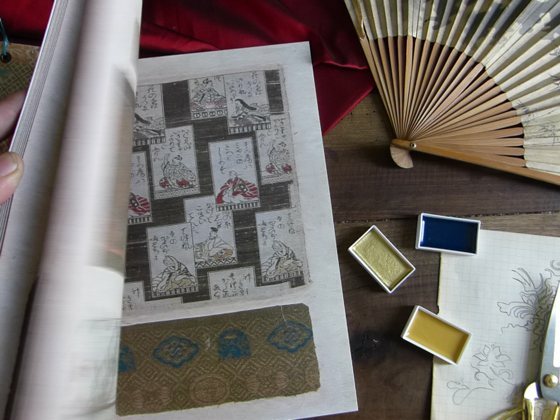 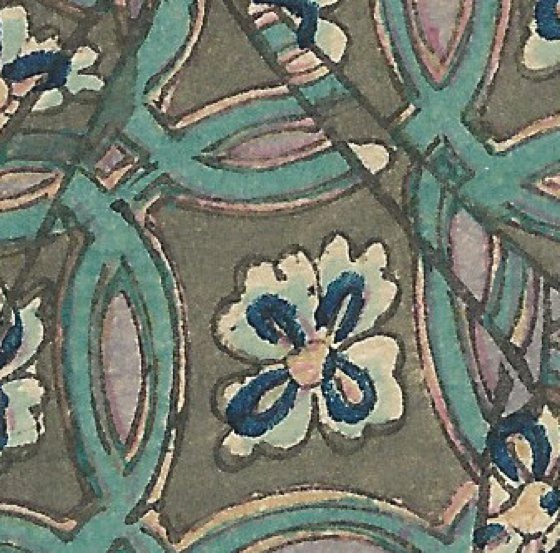 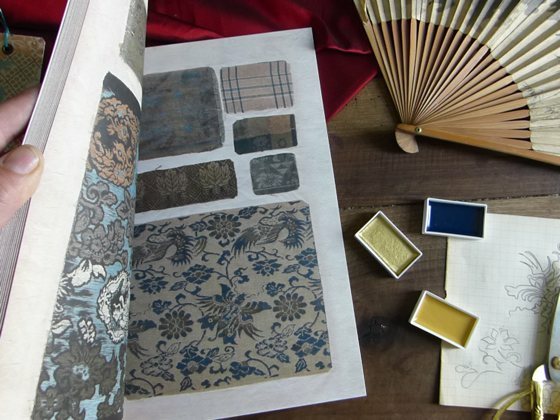 The book contains an entire pattern book with reproductions of 140 pieces of precious Japanese silks. 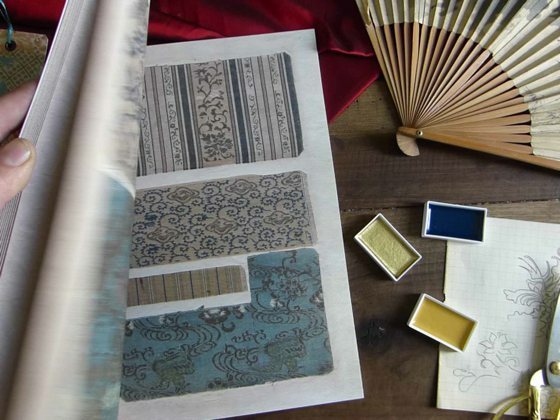 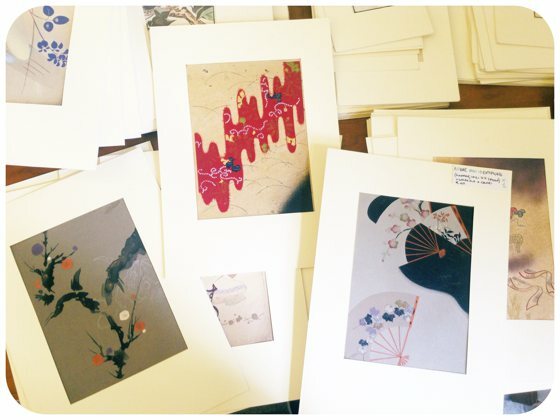 Dedicated to scrapbooking enthusiasts, prints and Japanese refinement lovers.